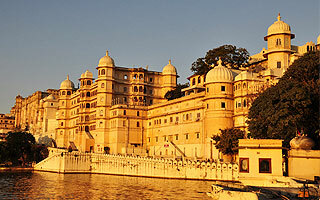 Rajasthan is the most glorious state of India which has been on the top of most visited state by the guests. Its rich culture and wide diversity is one of the reason behind the craze of the state. As you will progress from one city to another city of Rajasthan the experience keeps on getting wider and greater. Your Rajasthan Heritage tour with wildlife bring that experience live and at its peak. Your tour will start from exploring the impression of history in Delhi through its marvellous historical monuments and head toward Shekhawati region of Mandawa. You will get the first glimpse of the Rajasthan culture’s uniqueness firstly here. The impression of the beautifully fresco painted town will give you soothing feel of delightness. As you next make your way to Jaipur the capital city of state you will encounter some of the greatest creation of man either it would be Jantar Mantar, Hawa Mahal or other heritage monuments. The cloorfulness and jolly nature of the people will win your heart. Next is the time for witnessing the Jungle thrill during Tiger safari at Ranthambore National Park. Among the most prestigious National Park for Tigers, Ranthambore provides greater chances of Tiger viewing. Heading toward Bharatpur another amazing and famous park for Bird watchers and paradise for photographers. Your tour will give you the supreme treat as it gets closer to finish you will rejuvenate again as you will see the Taj Mahal at Agra. Enjoying the great monument of love and masterpiece of architecture you will return back to Delhi for our flight to onward destination. Plan Our Travel’s executive will welcome you at the airport holding the pla card of your name and assist you to transfer and check into the hotel. Delhi is among prime metro cities of India and is Capital city of the country. It is the city where whole India gathers together, here the culture, diversity and vividness of country comes together and marks the unity. After freshen up depending upon your comfort, enjoy the evening exploring the lively areas of Cannaught Place, it would also be delight to see an enjoy the evening at the remarkable and symbol of sacrifice India gate. Enjoy the drive pass to President’s House. Your day will start with a short Yoga session at your hotel. The Yog expert will make you learn the short and very effective techniques to stay fir an healthy. After yoga session and breakfast proceeds for the guided city tour of Delhi with government approved English speaking guide. Your tour guide will meet you at the hotel. Note: You can ask the guide of your desired language, all you is need to update with Plan our travel during planning your tour in advance. The exciting tour of Delhi will start with drive pass visit of Red Fort, it is a massive fort build in red sand stone and is a noticeable monument and also is UNESCO World Heritage site. It is place where every Independence day The honourable Prime Minister of India Hoist the National Flag of country. Moving further we will visit Raj Ghat which is a memorial dedicated to Mahatma Gandhi and place where Father of national-Mahatma Gandhi cremated. Stepping forward we will visit Humayun’s Tomb. This beautiful monument was built by Queen Haji Begum. Your next stop will be Qutub Minar, it is a victory tower whose construction is started by Qutub Din Aibak in 12th century and later completed by his successors and is also a UNESCO World Heritage site, Bahai Temple famously known as Lotus Temple will be our next view point. The temple is in shape of Lotus and hence derivd its name. Depending upon permissible time you can explore some other destinations also. Morning after breakfast drive to Shekhawati region, Mandawa. Mandawa was famous during the silk route ancient period as a stoppage of merchants. The whole town is an open art gallery famous for beautifully Fresco painted Havelis. Around 4 & half drive from Delhi will take you to Mandawa. On arrival check into the hotel. After freshen up proceeds for exploring the local sightseeing tour. You will visit beautiful Havelis which are not only huge and beautifully painted but also are the noticeable example of mix art of ancient and British period. Hanuman Prasad Goenka Haveli, Double Haveli and Jhunjhunwala Haweli are the most famous havelis of Mandawa. Castle Mandawa is another highlight of town. Evening you can go for shopping, you can shop from government shopping centers and can do street shopping also. After morning breakfast and check out start your drive to Jaipur. En route visit Nawalgarh. Nawalgarh is among another glorious town of Shekhawati and is well known for Sheesh Mahal, Morarka Haveli and The poddar Haveli. The special highlight of the day would be cycle tour and camel cart ride to explore local town. After visit continue your drive to Pink City-Jaipur visiting Samode another historical town in between. On arrival check into the hotel in Jaipur. After freshen up proceeds to explore the market of Jaipur. You can shop for colourful bangles, printe saris, artificial jewellery, gem etc from markets of Jaipur. Morning after breakfast proceeds for the city sightseeing tour of Jaipur. It is historically rich and architecturally superb city. The city also showcases two sides one with the new development and another one with narrow lanes, old shops and historical monuments. 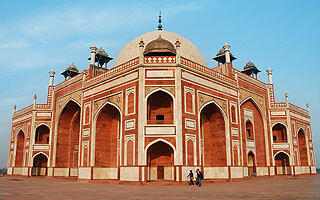 Popularly when combined with Delhi and Agra forms the great Golden Triangle Tour circuit of India. Your tour guide will meet you at the hotel and guide you for the sightseeing. Firstly visit Amer Fort, which is a grand massive fort showcasing the amazing work of architecture and carvings. Our next stop will be Jantar Mantar which is a brilliant example of mastery on astrology and science. Hawa Mahal the wind palace will make you say wow with its design and beautiful color. City Palace is mai center whose corridors, Diwan e am and Khas and many other structures hold your eyes. Albert hall Museum is another site which will complete your tour. It highlights the ancient artefacts and articles related to history. Chowki Dhani visit will be an great option to enhance the charm of your tour and experiencing the heritage. You will get a chance to enjoy the Rajasthani cuisine and culture her. After delicious breakfast and check out drive to Ranthambore. Ranthambore is famous for Tiger Safari. It is among the very well preserved Tiger reserve where Tigers are provided their natural habitat and government is putting their best efforts to increase the number of tigers. On arrival check into the hotel. After freshen up you can go for your evening Safari. You have option to go either on Zeep or canter. Tiger viewing point of view Zeep Safari is better option. After morning breakfast drive to Jaipur, on arrival Jaipur check into the hotel. Jaipur is capital of state Rajasthan and is famous among the world as Pink city. It was founded by Maharaja Sawai Jai Singh II in 1727. Jaipur is first planned city of India. Architect of the Jaipur city is based in Indian Vastu Shahstra and this can be seen on its different building structures. There are different poles or entry gates to enter the city from different directions. After freshen up set to explore the Pink city and its market areas. Enjoy a rickshaw ride and visits the market of Jaipur which will gives you wide range to shop gems, traditional Rajasthani clothes, puppets, artificial jewellery etc. Morning after breakfast proceeds for morning Jungle safari. You will visit Ranthamber Fort which is an amazing fortress in between the jungle and sometimes give the opportunity to glimpse a tiger. Day is free to do more safais. Morning after breakfast and checkout drive to Agra, enroute visit Bharatpur. Bharatpur is a paradise for Bird watchers and lovers of photographs. You will get to see some of the very rare species of the birds. The main highlight of the park is to see Siberian Cranes who travel thousand kilometres from Siberia to Bharatpur every year for breeding. You will enjoy the visit with Rickshaw ride. After visit continue your drive to Agra. On arrival check into the hotel. Evening is free to explore local market and shops of Agra. You can shop leather items like shoes, bags, purses, belts, specimen of Taj Mahal from here. Early morning proceeds for the sunrise visit of Taj. Taj Mahal as everyone knows is symbol of love comes alive and shows the different shades and colors as the morning rays kisses the beautiful specimen of eternal love. It’s beauty and art is beyond every explanation and words. After Taj vsit make your way to Agra fort. 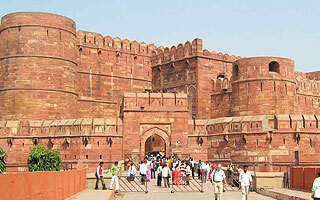 It is a massive red sand stone built fort and has many beautiful structure and palaces in it. After Agra fort visit drive to Delhi through express highway. On arrival Delhi Plan Our Travel India representative will meet you and assist you to transfer to Airport for your flight to onward journey.